JNTUH B.Pharmacy 1st Year (R15,R13,R09,R07,NR) Regular/Supply Exam Results May 2016, jntu hyderabad b.pharmacy I year results 2016. 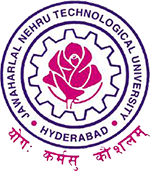 JNTU Hyderabad has announced B.Pharmacy 1st Year (R15,R13,R09,R07,NR) Regular/Supplementary Exam Results May 2016. Please release jntuh r09supply results….